Gurten, also referred to as Bern's local mountain is located to the south of Bern. Gurten is precisely a beautiful park that offers magnificent views of the frozen Alps and the delightful city. The recreational area focuses on culture and leisure. It also is home to some great entertaining games and a vast children's play area. The little peak also has a cycling track, a summer circus and a winter sledge ride. 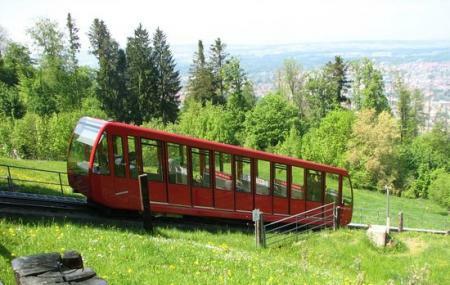 Don't miss the Gurten funicular ride. Visit Gurten on a clear day to get the best of the views it offers. There is a restaurant in the park's premises. From the main train station, take tram no. 9 to the "Gurtenbahn" stop. People normally club together Federal Building and Museum Of Natural History while planning their visit to Gurten. People also prefer to end their day with Gurten. One of the amazing and picturesque hill in Bern city. Amazing view of the city and the slow clad mountains. Carry good music or a book with you and you will definitely have an amazing day ! A very nice Place to consume your medicine.Here you do not really have to worry about the boys in blue! Amazing place in Bern. While the sky is clear there could be seen mountains landscapes. There are several playgrounds for kids, beautiful panaroma views from different places + special tower for 360 view. Also there are special places for barbecue. It could be reached by tram or suburb train and then by "Gurtenbahn" or hiking which is also beautiful option. Here you can find the Alp Glow at Sunset! A very powerful, magical and silent spot high above Berne. The closest mountain to the city is very popular and only 30 minutes away by Public Transport and cable car. Spectacular, wide view over the hole area and the Alps of Berne. Don't miss, awesome! !